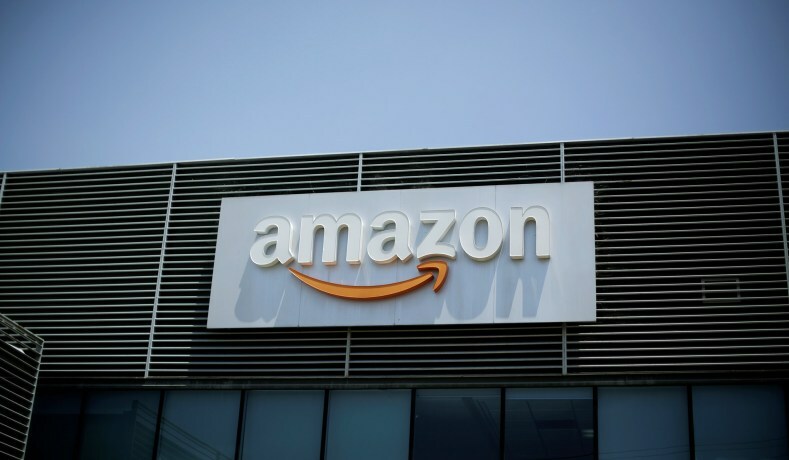 When it comes to selling products in Amazon, there are always many problems will rise. 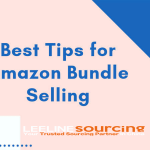 Therefore, Leelinesourcing make a summary of the questions about Amazon to make you better understand Amazon services. 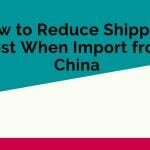 Those questions include FBA shipping, certificate items, expenses issues and so on.If you read it carefully, you will get the answers you want. Q: If I choose to offer a coupon, do my FBA fees decrease? And is it better to offer a coupon or just lower the price? A: Coupons look better and more enticing. Use them. For a $1 off, Amazon charges you 60 cents. Up your price by the same amount to offset the deduction. FBA fees will decrease since referral fee is 15% off the final price while pick and pack remains constant. Q: Hi, I have a problem with the CPC certificate for a product to be listed in Baby category. It’s being rejected even if is containing all the required information. Can you please advise on the next steps? A: Who issued the CPC certificate? Your supplier from china? If so, chances are Amazon will not accept that since China and USA hold different standards. Q: My product has been on page one for a few days now (2-3 days). If I end my PPC campaign, will the rank fall? A: Generally it should keep the rank. But if PPC is profitable you can keep it on to accelerate your growth. Q: FBA is so messed up. Anyone can accuse you of copyright infringement and then your listings gets removed and you’re screwed, you have to create a removal order make a whole new listing etc. They really need a better way to handle this, everyone is selling the same products but with a different label. Even if you have your own label you still get reported. Watch out for this! A: They can go after you for the smallest things, obviously you don’t want a picture that resembles your competitors but that’s inevitable if everyone sells the same product. But make sure you have copyrights for it. They can also go after you for any similar verbiage. Once amazon sends you that notice email you have to email the person who complained and if they don’t respond then you have to start back at square one. A: Not the ranking. But the display is apples to oranges. You can’t really judge or compare your page rank on the app cuz you’re just scrolling. Also on the website Amazon changes how it displays products on the page. Sometime it will be list form. Sometimes grid form which changes how many products are shown per page. Q: Does Amazon automatically approve your listing and product or do you have to request approval I don’t want to bump into restrictions with them I want to follow their rules and have everything go smoothly, sorry it’s my first time doing this I just want some advice. A: Check the list of restricted products, categories and subcategories on Amazon’s website. create a listing, sometimes they will let you create it but remove it a few days later, or they might just keep it, so create it soon and see how that goes after a few days. Q: Looking for a service that reviews listings and can give me suggestions on ways to optimize my listing’s conversion. A: Try out seller tools for optimization. They have a 14 day free trial period that will link up to your account and you’re able to put together your own listing and work off of info from your top. Q: If I put UPC bare codes in the cartons its works how ? A: Amazon requires sellers to provide box content information for each box sent to Amazon including the unit quantity of each SKU per box, expiration dates (if applicable), and the box weight and dimensions. Q: I’ve been interested in FBA For a while now and will soon pull the trigger. Just curious where everyone stands as of now, is anyone living off FBA money alone yet? Thanks. A: Just do it. You will never “know everything” I thought I did, but until I finally jumped in, there’s so many things these “gurus” don’t talk about and you have to figure out by yourself. Q: I would like to know if you can have just one account and put different logos on products from different niches. Does anyone know something about this ? A: Yes just make different brands names for each niche. When filling out a listing it’s asks you for the “brand”. Q: Anyone here dealt with Amazon removing ALL their reviews, even the organic ones? My listing’s reviews got removed completely, and my sales been down since. Please advice. A: Amazon is inconsistent from that respect. It’s always best to do it legit bro. Don’t do black hat stuff. You can never tell what Amazon will do. Not worth risking. You invest too much time getting legit reviews and your account will always be watched. Q: If you have viral launch do your product launch, do you still need to run PPC or does virtual launch cover everything for your product launch? A: Viral launch will help you knowing stats….PPC is required as its your product advertisement after listing. Q: Would you guys suggest ppc without reviews yet? Just launched yesterday and started PPC immediately. A: I recommend you sell some items, maybe by way of PPC and then reviews will build up over time. I have plenty of products selling with no reviews, and if you LOOK on Amazon, you will see lots of other listings with decent sales rank and no reviews. Q: How do you add pictures in the middle of the product description? A: First get yourself trademarked, then get yourself brand registered. Then get approved by Amazon. Then you’ll be able to get enhanced brand content. Q: I’ve been watching lots of stuff and getting more and more confused. As a beginner would you go for OA or straight into PL? A: I’ve done RA OA and PL I would definitely recommend PL it’s more sustainable. Plus you can’t sell an OA account for millions. But you can sell a PL brand. Q: Can I subscribe to Jungle Scout and research Amazon products before I register as an Amazon seller? A: Yes, you absolutely can. No need for a seller central account to use Jungle Scout. Q: How am I supposed to get reviews information while the reviews are no longer there? Any help would be very appreciated! A: Copy and paste your title to Google and click the down arrow at the end of the green URL in the search results. Once clicked on the arrow, it should say “cached”, click on that and it will pull up your listing from a few weeks ago and you’ll be able to see your reviews. Q: What is everyone’s current opinion on giveaways as of June 2018, my product arrives next week and I’m not sure if I should go for a giveaway service or go for aggressive PPC for x days. What’s everyone’s opinion or experience? A: Depends on who you ask. Giveaways still do work but you really need to know which search term you’re targeting. There are software out there that are out of date today but are still getting promoted since content hasn’t been updated. Aggressive ppc will help you determine your profitable kws for pretty much the same amount as you would spend for giveaways. Q: I noticed a few listings on Amazon includes a video about their product. Did anyone do that? If so, what kind of tool or service did you use to upload a video into your listing? A: Register your brands trademark, Give Amazon trademark info so your brand is registered, Set up EBC (A+) page and upload video. Sales will boom! Q: I have a question this is the first time it happens… what does Business Customer means? This appeared next to the sell I made! I guess it has something to do with B2B? A: B2b business to business-he is not end user of the purchase,B2c business to customer-end user of the product not for resell. Q: Has anyone achieved an excess of 5k a month income from selling on Amazon ? How long did it take you to do this and what do you wish you had done differently in the beginning for better results in the beginning? A: Many of our client sellers are having such income…well first depends on the product you have decided to sell, is it worth selling? High demand with low competition? Secondly the proper strategies you’re applying like PPC, social media marketing and such stuff. Q: Are review groups worth the risk? I really need reviews but fear getting shut down. 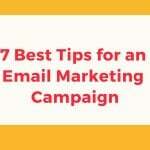 A: You can try several strategies like adding inserts in your products or using an automated email solicitation service. 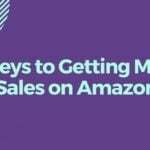 Q: How many people here are looking to break out of their 9-5 jobs with Amazon FBA? A: Yes, I am 6 months pregnant working 9-5 my plan is when I go on maternity leave is to have everything set for me and my family so I don’t have to go back to that 9-6 job , going to work and finding the time to learn about Amazon and how they work and I found my product and Currently dealing with a supplier no excuses it can work for anyone as long as you put your mind and hard work and dedication into it it’s a business like every other. Q: Do most people selling on Amazon have a company website. If was looking to sell say socks and scarf do I need a website already? A: You don’t need a website to get going. But it is necessary if you want register your brand. Q: Can someone help explain to me how another seller can have a buy box for my product at a lower price on Amazon? A: Shouldn’t be possible if you’re not supplying any one else. Has someone ‘borrowed/hijacked’ your listing? This happened to us in January, so we flung our arms around in a fit of rage… threatening the other business selling on our listing with legal action if the persisted. Q: Anybody have any idea on how to transfer a Vendor Express ASIN into Seller Central Amazon UK? A: You can just create the listings in SC, using either the barcode or the ASIN as the identifier. I don’t think there’s any issue with them being in VE as well as SC. You can also ask SC to make your listing the primary one for the listing (and so accept changes you make immediately) but not all SC reps know how to do this. 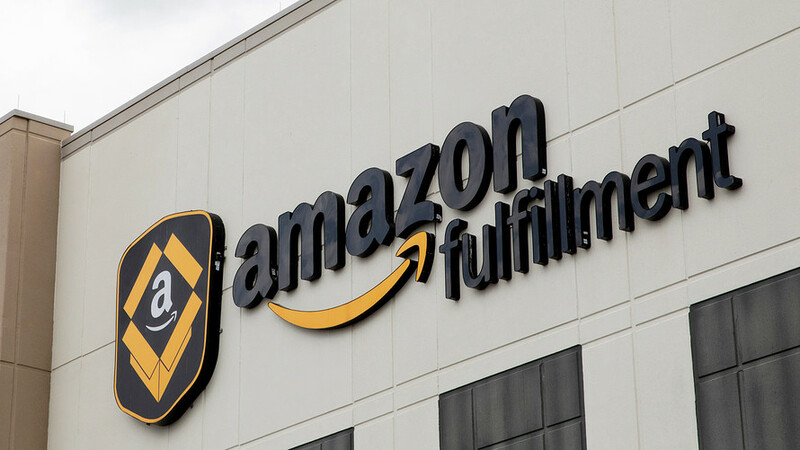 Q: If I integrate Amazon with shopify and keep FBA as a shipping method for both but I’m only selling products on Amazon USA, will Amazon fulfillment center be able to ship internationally with the order coming from shopify? A: Once it is, just turn on International Shipping. Type “Expand Offers Internationally” in seller central search. Q: Auto campaign has an 80% ACOS. Is that really unusual? A: My auto campaign for the first month was AWFUL. It was showing for all kinds of useless keywords. I had to add a YUGE list of negatives for it to be a good campaign. 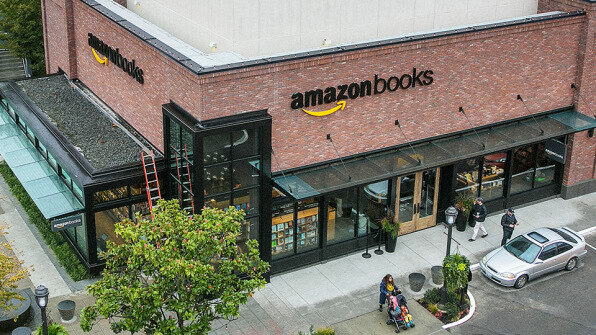 Q：How is everyone managing sales tax payments to Amazon in multiple states? A：There really are only 3 choices….Pull your data from Amazon and do it yourself, let Tar Jar or a similar service organize your data and file it yourself, or have a service or CPA do automated filings for you. The filing requirements for each state are different (not all are quarterly) and the items that are exempt are different for each state. So, it’s complex to get set up correctly. Before you register in any state you should determine where you have nexis and if the cost of compliance is higher than non-compliance. That’s a judgement decision that you will need to make. You do not want to collect taxes through Amazon and not remit them. That’s a huge no-no and there are heavy penalties. Q: Can somebody explain me, why my product shows in the front page when you choose “cords and supplies” but when I choose “all departments” doesn’t even show up, it’s the same keyword!! I don’t get it..
A: Keywords have a different ranking according to the department you do the search in. If you look for “Garlic Press” in Automative, do you really think the rank should be the same as in Home and Kitchen? It is all about relevance. Incidentally, that is why you want to make sure to pick the most relevant category for your listing. Q: Hope you all are killing it. Just a quick one, can we still use nationwide barcodes or do we have to go through gs1? Can someone please make it clear, it’s getting extremely confusing. A: GS1 is 100% safe, nationwide is not but it’s cheaper. You can choose btw pay less and maybe have an UPC which is already used or pay more but be sure that’s a “clean” UPC code. Q: Manny spoke about using keywords in your product photo titles before uploading them to Amazon. Does anybody know if this should be our main keywords that we’ve already used in the listing or other keywords that aren’t as relevant? Almost using them as another backend tool..
A: This is a lot like Alt-text in the seo world. Basically, the search engine trying to index your listing cant tell what the images are. So your description of the image is how the search engine figures out what the image is. If you use keywords it will simply increase the keyword density for the words you are trying to index and rank for. Q: I am looking to make some changes to my listings pictures and content. However, in the past when I changed something, I dropped in rank and I lost page rank. I later recouped but it definitely had an effect on sales. Has anyone experienced this? 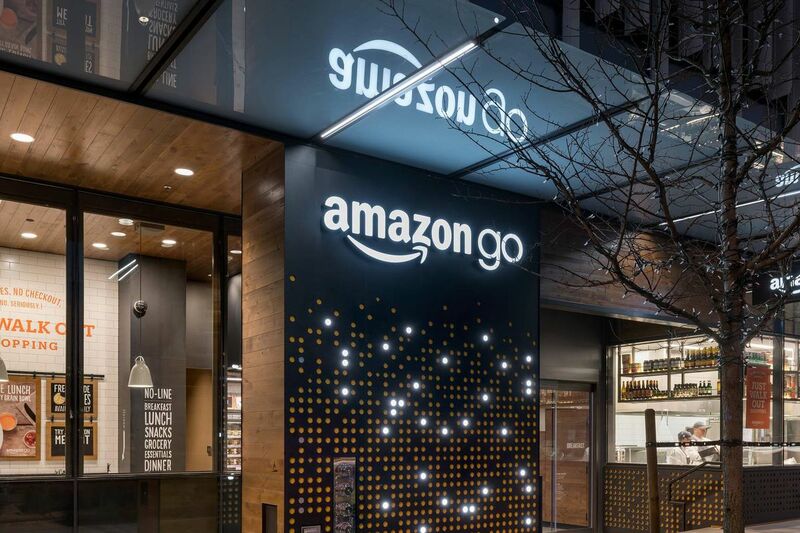 A: That’s obvious as you know Amazon runs with a search engine and whenever we make any changes it always reindex the page so all the old data goes to erase automatically. If you really want to be on top and want to get good sales just hire an agency. My listing was penalized but i didn’t know that and later on someone suggested me an agency to take care of my listing part and all. Q: How does one choose the best category for their product? Are there any rules of thumb? A: I would test out different categories to see which one works best for that specific product you’re selling then go with that. Q: I run PPC auto campaign for 3 weeks now, from the report, I see keywords but has no conversion on all KW. Should I run those KW on manual campaign? Will it help to boost sales? A: You should take the relevant, converting Customer Search Terms And add them to an exact match campaign. You should also negate the exact match from the Auto. Additionally you shouldn’t negate not relevant, not converting terms from the Auto. You might want to look into a PPC automation tool that does this for you. Me and my partner have built one, which is the most flexible, most granular out there. A: External links used to rank just the same as standard organic sales. The recent changes in Amazon search engine makes them rank 25% less. Which is already much better than PPC, which ranks 75% less than organic sales. Q: I am a brand registered seller @ (Brand registry 2.0). I am planning to built my STOREFRONT using the Store Builder tool on Seller Central. Before I publish my store I wanted to check whether anyone had a negative/positive experience with Storefronts, like rise/loss in sales, rise/loss of conversion, any technical issues. Sharing your experience will be appreciated. A: It’s better you first start on your own , get some idea and if you are not confident then you can go for any agency, in my opinion. Most agencies are useless. Try with Facebook promotion / PPC , for example create a product page with various products [ similar ] then promote it , this will give you maximum chance of conversion as customer likes variations. Q: I have to get some products on Amazon. I have already created an Amazon account. But my problem is I don’t know how to get my products on Amazon specially refill the information. Is there a kind soul that could help me? A: I’d advise you to contact seller support. They can help you with all your questions and talk you through everything. Q: I received a patent infringement letter from a company. I check the patent at USPTO. It is completely different design. They are just made of same material. They are more than 100 products at Amazon same size and shape like mine. My supplier says “they send letter to everyone but nothing happens”. What should I do? Do you have any patent attorneys you would like to offer? Thank you. A: Very unlikely but still pertinent… Could the material, by any chance, be patented? 3M once held the patent for Teflon, as did DuPont for Nylon, Tyvek and a bunch of other proprietary materials. Also, have in mind that a COMPONENT of the product may be patented, even though the whole product isn´t. (A notable example is the spring system that allows Gilette Mach-3 razors to move independently. Razors aren´t patented, but the spring system is). Q: For instance, it’s a product sold in bulk and in the main photo they have way more than actually selling in that listing, it’s also deceptive. They put a lifestyle photo in the main image as well, with a small example of using that product on the side. What should I do? A: A couple years ago when I was new I had a similar situation. I didn’t think it was fair that my primary image follow the rules and theirs (multiple sellers) showed what was obviously Photoshopped and made everything look awesome. Q: Is there any way to add a coupon onto my product listing so that people can claim it automatically? A: In Advertising/Coupons you can create instant rebate coupons that will appear as badges on your listing. Q: A friend of mine was just told by the captive team at Amazon that lifestyle images are no longer allowed? Has anyone heard anything like this? A: The issue right now is that Amazon sellers are using non compliant imagery for their main image. This makes the search results pages look messy. Worse than that, the image may contain things in it that the user will think comes as a package. For this reason, Amazon does not allow you to show anything more than what it is you sell in your primary image. It needs to be on a white background showing only what you are selling. So if you are selling knives, you aren’t supposed to show those knives on a cutting board. 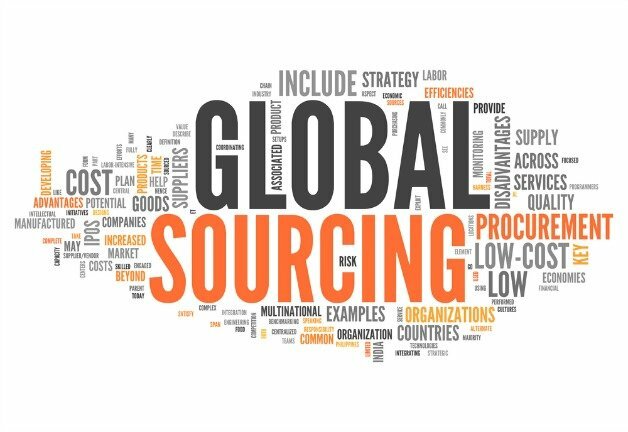 Q: Anyone have experience selling internationally in Canada, Mexico or U.K. and have tips on do’s and don’ts? 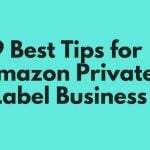 What are the pros and cons of expanding to international marketplaces for private labeled brands? A: I think quite a bit of the decision process depends on your product and which country has the best market for it. Does your brand currently have a following in any of those countries and if so which has the highest or that you can build on easier? I’d narrow it down to one country and take into consideration import duties and shipping costs as well as regulations if there are any. Maybe Canada considering it’s just up north. Q: What is the return limit % to keep from being banned from FBA? So far I am getting returns and it’s %10. Any ideas? Any Amazon rule to be considered? A: You don’t get banned your listing gets closed down but you can just relist it and tell Amazon how you’re fixing the problem. Q: Hi, I have just launched my first product. I got in touch with someone who helps in launches. When she looked at my listing, I was told to lower my price to a point that there is no more profit after PPC, and that I am in a very broad niche that it will be difficult to sell my products. I thought I was doing it right, I’ve spent months on research. Can anyone give your thoughts on this as I do not know what to do anymore. A: In the beginning, during your launch and your initial PPC, it’s not about profit, it’s about ranking. You’re planting a tree and watering it, you have to give it some time to bear fruit. This is a good example of why becoming a member of Just One dime is a great investment. There is so much information associated with this topic that being in the course and the member’s community holds great value. 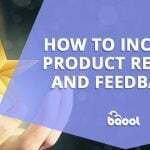 Q: I’m using feedbackwhiz for my email sequences, I started doing two campaigns 1st is a Order Shipped email and 2nd is a Feedback/Review email which I send after 7 days they purchased the product. From 60 clients the last few weeks 7-10 opted-out for getting my email sequences. Some opted-out from the very 1st email and the rest of them from my second email. Is this normal? And, How could I prevent this? is there any savvy advice for this? A: Another effective method is to switch to an insert to go in the package with the product. There are many options if you use your imagination, for example, my product is a box of worms, I add value by offering an Ebook describing the best food for worms. When you enter your email with an attached link to AN HONEST (not positive) review, you will receive your free ebook. Q: If my product is getting a lot of impressions in ads but not too many clicks and the ACOS is low what should I do? A: Optimize your main picture, title, price. Q: When running giveaways program on Amazon, they told you that the total cost is for example 100$ for a quantity of 10 items, does it mean that I will pay for that? A: I’m not sure that I understand your question. What giveaway program are you speaking of? You can run sales in different forms that will not cost you anything. Q: Are you suppose to get profit from Facebook ads? I’m getting like 30 cent clicks on my FB Ads but I’m not really getting many sales from it. Is it my traffic quality/conversion rate or is this typical for Facebook ads? Do you guys get profit from FB ads or are you just using them to help with launching? A: I had run Facebook ads too. I got clicks but didn’t turn into sales. I have run the ads based on age, location, gender, interests etc., but still didn’t worked. Hope someone from this group gives some suggestions. Q: I have an Amazon account of Italy but when I am going to buy VPs there is too much price of Italy VPs if I buy a VPs of USA. Can I login Italy Amazon on USA VPs? A: Try your best to find cheaper one otherwise get one from Spain or France or Germany if you still can’t find. Q: What other fees Amazon charge per unit except FBA and sales commission? Amazon is charging me promotional rebate. What’s that? Anyone please? A: Amazon don’t charge you any promotional rebate. Rebate means this is a rebate payment back to you. Amazon give some special discount to buyer like 50% off out of good will. Not you are not the one who offered this discount to buyer. Amazon did. So Amazon will refund this 50% discount value back in form of promotional rebate since it was Amazon’s liability that they decided to give it for 50% off and you not the one who decided to give this discount. Q: What’s your biggest challenge with the FBA process? A: My biggest so far was when getting my first shipment I had to put each one in polybag and stick 2000 barcodes. Q: Hey guys, how many days we need to sell the same units as top guys for the keyword in order to rank on first page? It’s 7 or 10 days? Someone tested this? A: If you know how much they sell and you sell more? I have read it’s around 7 or 10 days. I have been selling for the keyword for 4 days and ranking have not change much. I’m on page 3 and started on page 4. A: If you use packaging that the customer basically needs to destroy to get the product out you might be able to prevent any of your returns from going back into inventory. You could do a safety seal too, but some warehouse workers might miss it when they are making the determination of if it should go back into sellable inventory or not. Q: Let’s talk back end search term keywords. What is more effective…Using all 5 keyword lines or lumping all keywords together in one single line? Also, I know you’re not supposed to repeat keywords, but isn’t it valuable to keep keyword phrases intact… thus the need to repeat keywords? Thanks for your insight! A: One or five lines is OK. Whatever you prefer. Don’t exceed 250 characters total. Don’t repeat for phrases. 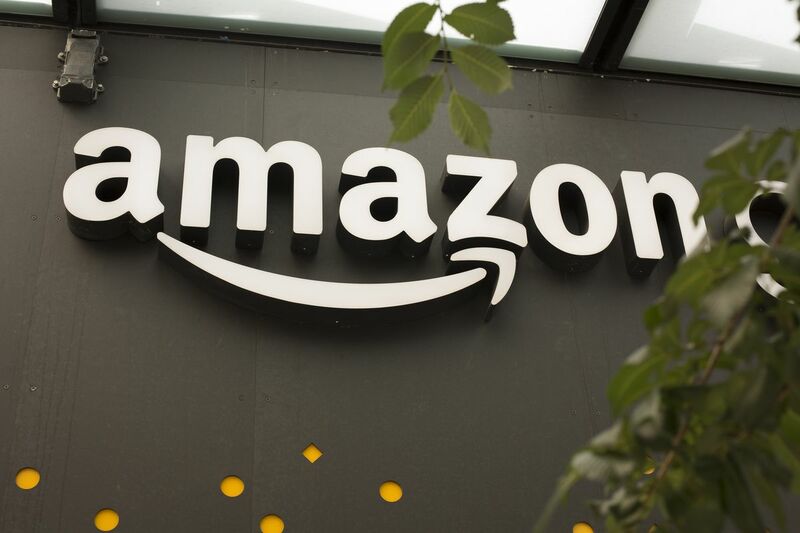 Simply separate words with space, so Amazon search algorithm will be able to combine them into phrases. Q: I am thinking about putting my logo in the corner of each of my Amazon listing photos (except for the main image). It would be pretty small. Idea is to help get some brand recognition (it is the first product of this brand). Any thoughts on this? A: Well since people share pictures on Amazon I don’t think that would work. I’m thinking that Amazon would be against it as well. Q: Hey guys, Do you enable the Repackage Unsellable Customer Returns Options in ur seller account? I am thinking about turning it off and check the return by myself. Amazon recently sent a “used product ” to my customer and I don’t know if it is because they made a mistake when repackaging my returned items. A: I would highly recommend turning it off. We had the same issue. Since turning it off, we get a lot more reimbursements instead of the inventory actually coming back. And Amazon sells many of them as used via Amazon Warehouse Deals. Q: I am the lowest prime seller on this product and still there is no buybox? Why does this happen? How can I get the buybox? A: That’s not how the buy box works. I’ve had buy box being the highest prices seller. Things that get taken into BB; seller performance, in stock rate. Droping the price helps no one but Amazon. 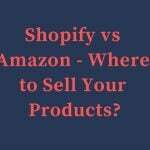 Q: Do any of you sell on Walmart’s online marketplace and Amazon? If so, how do the sales from Walmart compare to what you get on Amazon? A: If you do it right, id say every 100 sales on Amazon, you could get 5 sales on walmart. They don’t accept everyone in, if you are doing good on Amazon, they will probably accept you. You also need a “warehouse” which can be someone’s garage. Q: Are there any other product tracking software other than the Jungle Scout product tracker? A: Xray from Helium 10 allows you to pin whatever products you want to track. You can also do this from Black Box also from Helium 10. Q: I’m looking to start Amazon FBA next month. I’ve been doing a ton of research but I’m still wondering if I should take an Amazon FBA course? ANY suggestions? A: Taking a good course is always a plus. The money is well spend. It will give you the guidelines you need. If you are on budget then listen to podcasts and follow some YouTube channels. You will find tons of good information. Are You Selling Restricted Items on Amazon Marketplace? Q: What is the best way to link from your website to purchase your product on Amazon? A: Set up the product on your website to automatically fulfill via Amazons multi channel fulfillment after customer makes payment. This way, you build brand equity and get a higher percentage of the profit. It’s very silly to go through all the work to acquire your own customer, then give away all of their contact info to Amazon, and pay THEM a fee for the privilege! You should be owning the customer experience in full if you are going through the work of acquiring them. Q: Can anyone recommend what the absolute best software to automate PPC is? A: Zon.tools without question, and it’s currently FREE although I happily donate. Q: Can I print the UPC on my package sample order and take pictures with it for the listing (with the UPC on the back). But for the bulk order I’ll print the FNSKU on the back package and send to my customers? A: Whether your images have UPC or FNSKU, it doesn’t matter. And should preferably not show none. What you should rather worry is about showing your LOGO. Q: I have a question who knows for how long we are blocked to not receive reviews by Amazon after massive deletion of reviews? A: Very good question. For me, it’s more then 21 days…so I guess the 3 weeks version it’s not real. Q: I’m a brand new Amazon seller, my PL product reached the Amazon warehouse last Thursday and the product was available for sale since Friday. However I could not find the product via keywords on the search box, and after searching the forum I read that it can take up to 2 days, so I waited over the weekend. It’s Monday now, however I still can’t find my product on my computer. But I can on my phone-sometimes. Any thoughts? A:When did you list? If it’s been only 48 hrs, it probably wont show up. Few reviews and then PPC. Optimize for conversions and then you should see it. Depends on category, competition and lotsa factors. Q: Just wondering what is the best giveaway platform is that people are using for multiple SKUs to give your BSR a little nudge and increased ranking? A: I’ve used Viral Launch and ZonJump for the same product. Viral launch gave a boost to rank 4 page 1 but didn’t stay, also didn’t get much feedback. ZonJump was the same boost but got more feedback. Both had a handful of buyers who were looking to make a quick buck and just reselling on my own listing. In my opinion ZonJump was better. I would recommend using cerebro to determine the giveaway amount though as they will always say much higher as they get paid per giveaway. Q: Hi just getting ready to launch my first private label product. I bought some UPC codes from Ebay a while back. I just heard those are not good? Can someone tell me where I can get a couple of legit UPC codes? A: You don’t have to. Gs1us for barcodes only if you gonna sell your product not just on Amazon but at retail. UPC codes just Google UPC for Amazon and you will get it they cheap I think I got it 5 UPC for $10. Q: I am new at this and I created a new listing but it is not showing for me to ship or print lables. How do I contact Seller support. I go to the Help tab on the top, but can’t seem to find where to contact them. Just a bunch of things that don’t answer my question. A: I will be making a vlog soon about the seller account as I’ve personally ran into many questions myself. So I’m sure a lot of people here have the same questions. Q: I am curious, for those of you whom are selling or have a private label product, did you purchase any courses or attempt by yourselves by researching everything online? A: Ever purchased a course for now. I’m lucky to have the time and resources to get the info I need. YouTube and Google answer most of my immediate questions, Amazon customer support for the rest, and close friend for last resort. Q: Hi guys need an advice. I’m a newbie to Amazon and launch it my very first product. I started with 100 units and now left 27 but I’m kind off loosing hope as I’m still running PPC and it’s not doing any good it’s like no sales. So I did fb ads for 75% off and that’s where all my sales happen but I’m not sure whether to order any more stock to carry on with this product. Please guys I need your opinions. A: You can’t give up. 100 units isn’t enough to tell if this is working or not. The fact that you got rid of lost of the inventory is a good start. 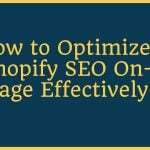 Have you optimized the keywords? Did you make sure to go through our beginner checklist and see if you missed anything? Q: Hey guy, as a Canadian selling on Amazon us, do I need an EIN number or do I only need to register as a co-operation. Because people were saying that if I registered for an EIN number I will get taxes twice or something. Let me know what you guy did at the beginning. Did you register or EIN or just as a co-operations and pay taxes directly to Canada even though you selling to us customer. A: EIN is for employees. The reason the say you’ll get taxes twice is because your company (your product’s brand), will get paid, then you’ll pay yourself. Your company has to pay tax, then you have to pay personal tax. Instead, form a corporation. It’s the right way to do it anyways from the start, you’re set as the owner not employee. You’ll not just have a better tax saving strategy but also a layer of protection if someone dies your company. Q: I created listing yesterday and it’s under review for “hazmat review”. I called support and they said that since I don’t have description and images, I need to complete it once I get sample and then it will be reviewed. Is there anything I can do besides waiting for sample? A: You could put temporary pictures from your supplier’s listing or ask the supplier for nice photos, then call Amazon and ask them to review that. Q: How do I change my listing size from “Oversize” to “Standard”? I’ve set the weight and dimensions that fall under Standard sizes but my inventory still says “Size: Oversize”. A: I’ve had this issue before. It takes 24 hours to update. If it doesn’t, you can try contacting seller support and make them change it on their end then wait 24 hours too see that. Last resort, you’ll have to recreate the listing as that is the faster way it seems like. Q: Hi, got a question from a customer: Why he needs to pay more for our product on Amazon if he can buy it directly from our website at a better price. What would be the best way to answer to/proceed with it in order not to violate Amazon Policy? 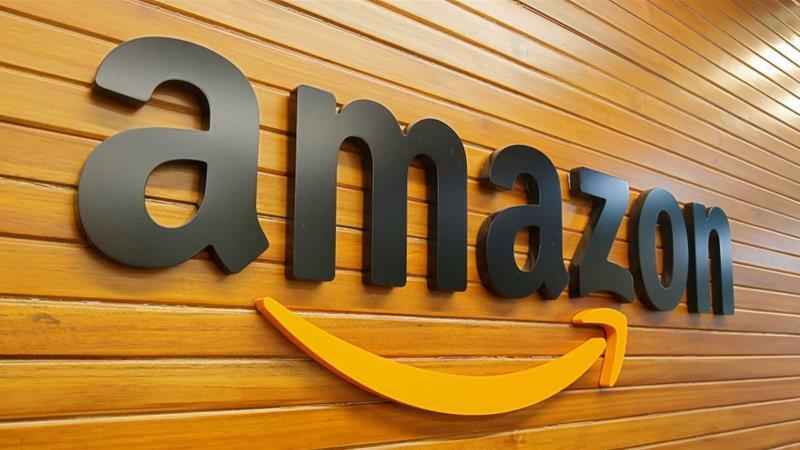 A: AS per Amazon Policy, the following actions are prohibited: “Any attempt to circumvent the established Amazon sales process or to divert Amazon users to another website or sales process is prohibited. 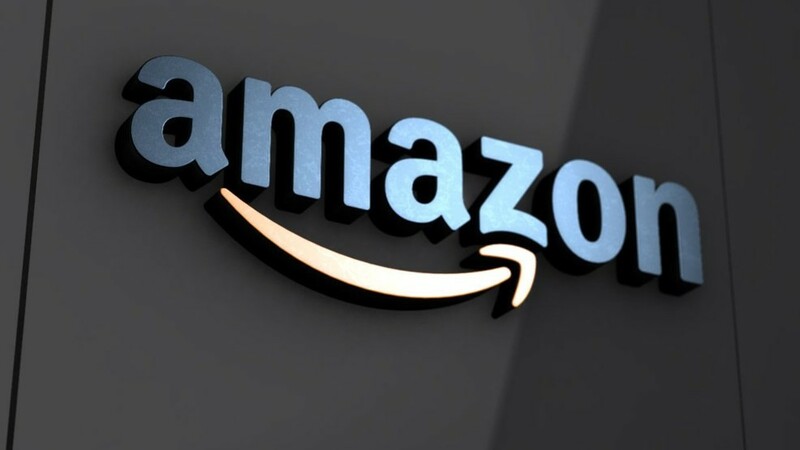 Specifically, any advertisements, marketing messages (special offers) or “calls to action” that lead, prompt, or encourage Amazon users to leave the Amazon website are prohibited. This may include the use of email or the inclusion of hyperlinks, URLs, or web addresses within any seller-generated confirmation email messages or any product/listing description fields. Q: I have problem my listing was taken down on UK market and I’m trying to sort it out why as they asked me to provide some CE witch I did but now they asking for sellers ID witch I don’t understand why as they can see it on my account all the details and they not answering my questions just keep sending same email over and over again to provide doc. Does anyone knows any number that I can phone to speak with them as seller central doesn’t know anything. A: When you call seller central, ask to speak to the catalog team or FBA support team. Aside from that, provide everything they are asking and keep hammering them until you get what you want. Q: Hey, guys, I am having trouble with figuring out what product to buy and sell. Do not want to use the generic jungle scout what all mentors say to use. Any other ways of tackling down a product with high margin and low competition? A: I go through pinterest for new quirky items. Also just type into Amazon Aa Ab Ac etc through whole alphabet as the auto fill shows what searches are popular then do a check on unioncorn smasher just to see competition. Time consuming but worth it. Q: I want to sell items like Gucci items but not real. They have the same design but I will not mention that the item is Gucci or its brand is Gucci. Can Amazon reject my product or suspend me? A: So it’s like Gucci but not Gucci? Is it a knockoff? If yes, you’ll be suspended quick and/or sued by Gucci. Q: Hi I need an opinion. I have a product and I need to reorder again but I want to improve my product and it will be come less units in the pack so this is mean I will have to change the listing title and pictures. Can I do that or Amazon will suspend my listing. Can I use under same ASIN? A: I’m not 100% on this, but this does sound like you’re changing the listing quite significantly so I can see Amazon not liking it. Best to call them and ask. Q: How can I know which Amazon warehouse to send my products to? A: You need to create the shipping plan on Amazon first, it will show the address of Amazon warehouse. 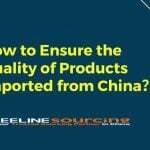 How to Find A Suitable FBA Logistics Company in china For Amazon Selling? How to Use Multi Channel Fulfillment to Increase Amazon Sales of Your FBA Inventory? Q: In my inventory it says 2 items is unfulfillable. What does that mean and what to do about it? A: It can be multiple reasons. The warehouse damaged it, it came damaged, it has been return in poor condition, etc. In seller central, if you click Manage Inventory – Remove Unfulfillable Inventory, you can create removal orders to either have your item destroyed or sent back to you. Side note, if it was Amazon’s fault, they will reimburse you. I’m not sure how they determine how much to reimburse though. Q: Does anyone have advice on how to do a product launch and what’s the most important aspect of product launching? A:A:Start with a healthy PPC campaign, because otherwise your listing is invisible in search. B: Youtube has also dozens of videos about that particular topic. Search for “Amazon launch”, the click “Filter” on the upper right corner, and click “Upload date”, so you get the freshest posts. Q: If I ordering small box item should I ask the supplier to paste my UPC code on each of my product? Must I ask them PP bag outside the box then with Amazon code outside? A: If you are using FBA, you have to apply FNSKU label on top of the packaging (including bubble wrap or any kind of wrap/cover/polybag). And, to avoid the fulfillment center staff from getting confused between the barcodes (UPC or FNSKU) they should scan, please cover any UPC or manufacturer barcodes with a blank label or FNSKU label.